This free Car Mileage Log Spreadsheet is designed to be used to track mileage of your cars for tax purposes. 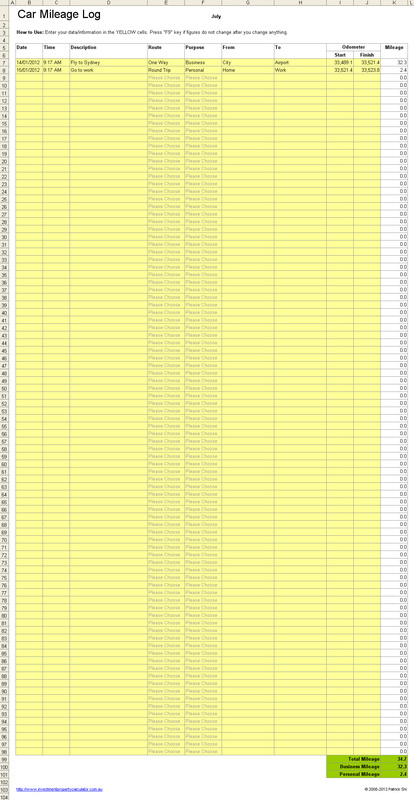 This mileage log spreadsheet automatically calculates the total mileage for a financial year after you fill in the individual monthly sheets. Here is a screen shot that will give you a better idea that what you need to do and how this free property calculator can help you by saving you more tax dollars and the headaches to keep paper records. 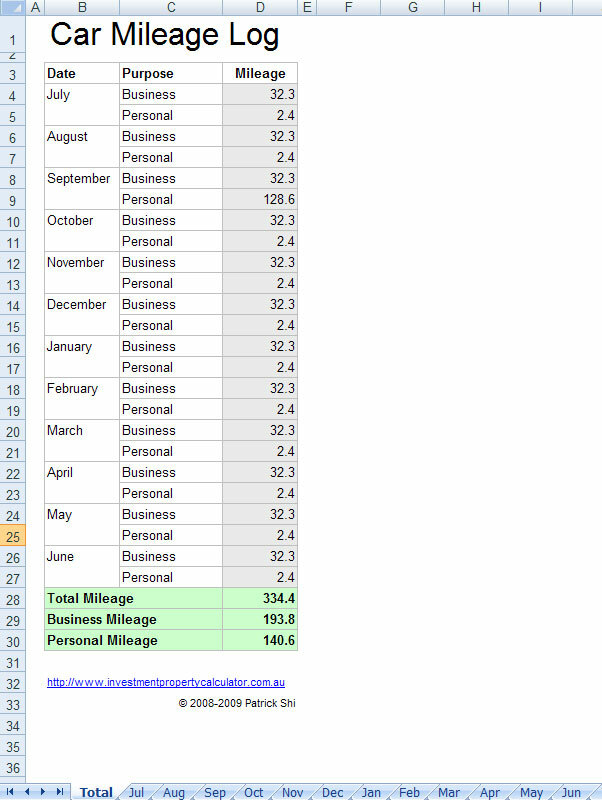 Download FREE Car Mileage Log Spreadsheet Now!